This research and development laboratory and its associated clean room showcase the company’s research operations and provide lively and refreshing work environments for the scientists and technicians. The Café, located within the 100,000 sf office building, marries finishes that accent those found throughout the complex. 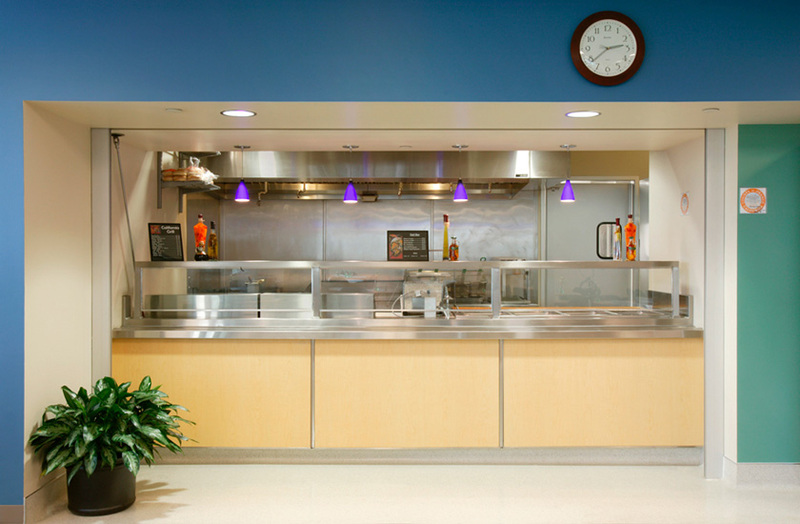 A soup/salad bar compliments the walk-up grill offering a variety of dining choices.